2What do civil engineers do? 4How can I become a civil engineer? What did this project achieve? Tunnels have joined cities, towns and whole countries together. Deeper and longer tunnels have been enabled by boring machines. Over time developed machines to dig out rock and earth. Devise mechanical devices to make digging tunnels easier. The first tunnelling machine was designed by engineer Marc Brunel (son of Isambard) in the 19th century. 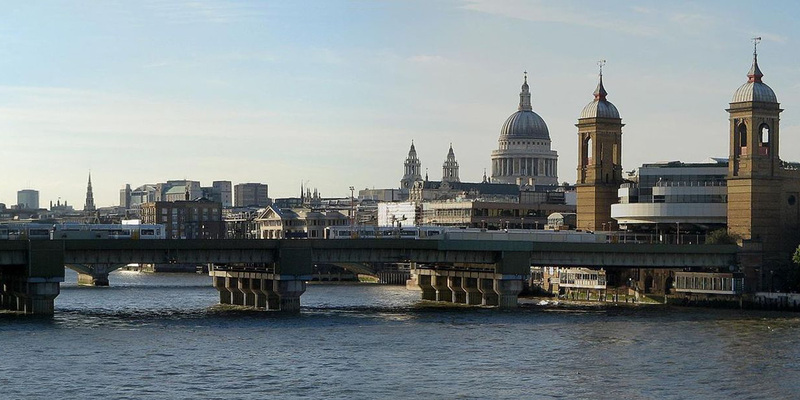 It was used to help build the Thames tunnel in 1843 – the first under a river. Brunel’s invention was basically an iron framework with spaces for workmen to stand in. Tunnellers dug out the earth in front of them with pick axes and shovels. Engineers James Henry Greathead and William Henry Barlow developed Brunel’s design. The Barlow-Greathead shield was an iron cylinder 7ft (2m) wide. This was fitted with screw jacks – a mechanism that allowed the machine to be shifted forward as the tunnel was dug. Later developments included the first mechanical machine in 1876 and engineer John Price’s rotary excavator in 1897. 1965 saw a major step forward in TBM technology with the invention of the Bentonite tunnelling concept. This allowed soil to be carried away from the tunnel face by pumping in bentonite (a clay mineral) to create slurry – a liquid form of earth. Recent developments in the design of tunnelling machines have seen the use of hard rock TBMs. The machines use a cutter head to exert stress on the rock in front of it. This causes the surface to fracture with waste carried back behind the machine. An overview of TBM's and where they have been used around the world and how they influenced the very exciting and highly regarded ICE Tunnel Exhibition in 2017. Paul Chambers a past ICE President's Apprentice walks us around the exhibition and talks about the influence these amazing machines have had on him and infrastructure around the globe. Tunnelling machines have had an economic, environmental and cultural effect around the world. Like bridges, tunnels connect communities - and sometimes entire nations. In the UK, modern TBMs have helped boost the economy. London Underground’s Jubilee line tunnel has brought redevelopment all along the new line. TBMs can help the environment. The machines that dug the Lee and Thames Tideway tunnels helped improve sewage treatment for large areas of London. The machines can connect communities. Examples include Crossrail and the Channel Tunnel, all made possible by TBMs. When the Thames tunnel was opened in 1843 it was called the 8th Wonder of the World. 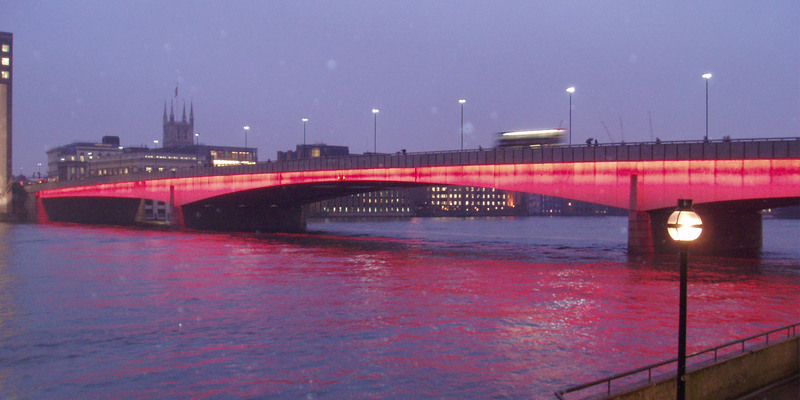 Within 3 months a million people – half the population of London – had come to see it. The structure took 18 years to build. 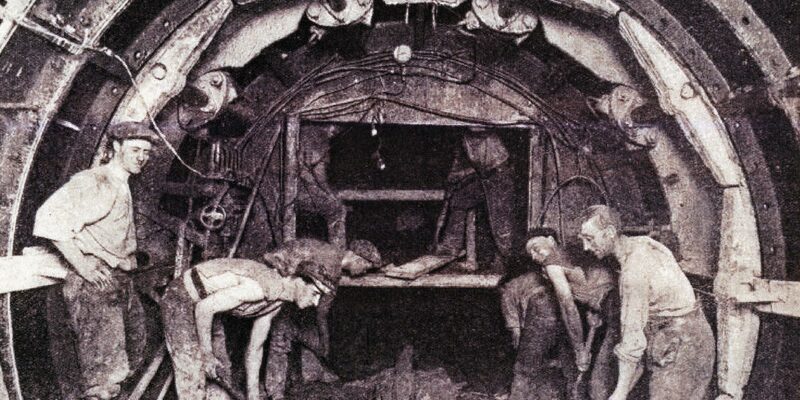 It’s unlikely it would ever have been finished without the use of the world’s first tunnelling machine. Attempts had been made to dig a tunnel under the river since 1799. They all failed. Engineers concluded that an underground tunnel was impossible. Engineer Marc Brunel, working with his father Isambard Kingdom Brunel, saw that traditional mining methods would not work on London’s soft clay. So he created and patented a device for ‘forming drifts and tunnels underground’. The structure was known as the miner’s cage or tunnel shield. The iron framework had rows of cells, each the height of a man. A miner stood in each cell, digging at the wall in front of him. Once each worker had dug out a few inches the shield was moved forward – usually by about 6 inches (15cm) – and work began again. Modern tunnelling machines (TBMs) look very different to Marc Brunel’s miner’s cage but their function is similar. The TBMs dig out earth which is carried back behind it – usually on a conveyor belt. It then moves forward and continues to dig. Today’s TBMs vary in size but they’re mostly large and cylinder-shaped. London’s Crossrail project dug out 42km of tunnel under the capital using eight 1,000 tonne TBMs. Each was 150m long with a rotating cutterhead. One Crossrail TBM dug 72m in a single day – a massive advance on the inch-by-inch progress of Brunel’s tunnelling shield. Like giant underground factories on rails, they’re the equivalent of 14 London buses end-to-end and a staggering 143 buses in weight. The first mechanical excavation machine was built by Major Frederick Beaumont and Captain Thomas English. The duo used their machine for the first attempt at a Channel tunnel in 1882. Engineers first used compressed air for digging tunnels in Antwerp and New York in 1879. Two of the TBMs that dug tunnels for Crossrail were named Mary and Sophia – after the wives of Isambard Kingdom Brunel and Marc Brunel. Marc Brunel patented the first tunnelling shield in 1818. James Henry Greathead and William Henry Barlow developed the first round tunnelling shield in 1868. John Bartlett invented the Bentonite tunnelling method in 1965. The job you end up with in civil engineering is likely to link back to what you studied at school, college or university. Here you can see your options at any age. Copyright © Institution of Civil Engineers 2018. All rights reserved.